In 2016, Set 111 of The Saint John’s Bible Heritage Edition (SJB) became a permanent addition to Berea College’s extensive collection of Bibles and religious texts housed in Hutchins Library Special Collections & Archives. One SJB volume is always on display in the Library lobby and may be viewed when the Library is open. Other SJB volumes may be viewed by appointment in Special Collections & Archives. 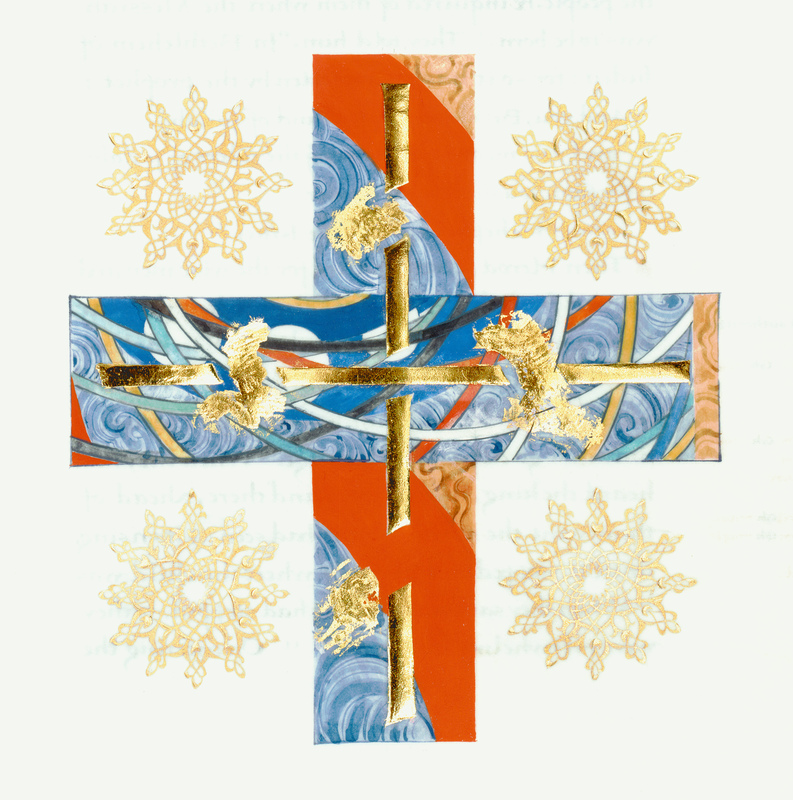 In the early 1990s, at the approach of the new millennium, the community of Saint John’s Abbey and University in Collegeville, Minnesota asked renowned calligrapher and official scribe to Queen Elizabeth II, Donald Jackson, to assemble and lead a team of calligraphers and artists in creating a Bible. The Saint John’s Bible would be the first completely handwritten, fully illuminated Bible to be commissioned by a Benedictine Abbey since the invention of the printing press. Jackson had envisioned creating such a Bible at the age of 13, and spent his entire life preparing for such an undertaking. He assembled an international team of six calligraphers and 31 artists and coordinated their work through a University committee, made up of art historians, medievalists, artists, scholars and theologians. The Saint John’s Bible took eleven years to complete (2000-2011) and work proceeded, it became apparent that The SJB would need to have a presence far beyond Minnesota. As a result a full-scale art print “Heritage Edition” was created with a print run of only 299. The Heritage Editions are printed on 100% cotton paper produced in New Hampshire and include all of the text and illuminations. Many of the illustrations are hand-burnished by the Scriptorium’s studio manager ensuring that no two Heritage Editions are identical. The 1,165 pages are hand-stitched and bound in seven volumes each measuring 2 feet tall by 3 feet wide when open. You can read more about The Saint John's Bible, see all of its 160 illuminations, and acquire books and materials related to the project at: www.saintjohnsbible.org/. Image from Volume 6: Gospels & Acts. - Decoration, Facing Page, Donald Jackson with contributions from Sally Mae Joseph, Copyright 2002, The Saint John’s Bible, Saint John’s University, Collegeville, Minnesota USA. Used by permission. All rights reserved.